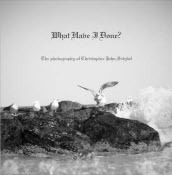 Recently, I decided to select some of my favorite photographs and put them in a book. This is a book I will keep around the house and show clients. Eventually I will put together a hardcover book available for sale. It was difficult choosing fifty photographs and I shuffled the order numerous times. Can’t wait for the printed version to arrive by mail. In the meantime, you can take a look at the online version.